Our range of affordable quality palings allow you to introduce another element of creativity to your outdoor space. 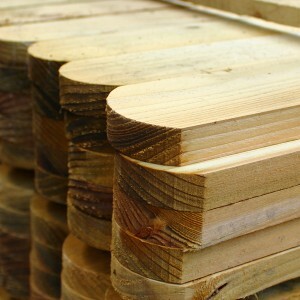 With our selection of palings, you can make your own fence or garden panels. Available in a selection of designs, shapes and sizes our palings can meet all of your outdoor renovation needs. They are available as treated and untreated, ready to meet the needs of your next job. With our product selection, you may choose from an array of treated palings with round tops, pointed tops or flat tops. In any of our branches we can provide all of the cutting, machining and cross cutting services you may require for your next project. We are also FSC chain of custody certified (FSC-C018393), meaning that much of our timber comes from responsibly managed forests. Look for the FSC logo on our products for eco-friendly options. Timber Supplies. Timber Cutting Service Available.